Little has yet been written about the silent majority of computer specialists, the vast armies of largely anonymous engineers, analysts, and programmers who designed and constructed the complex systems that make possible our increasingly computerized society. 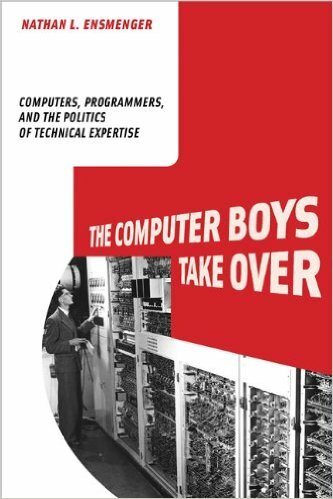 The title of the book is a reference to where it all started: With the “Computer Girls”. 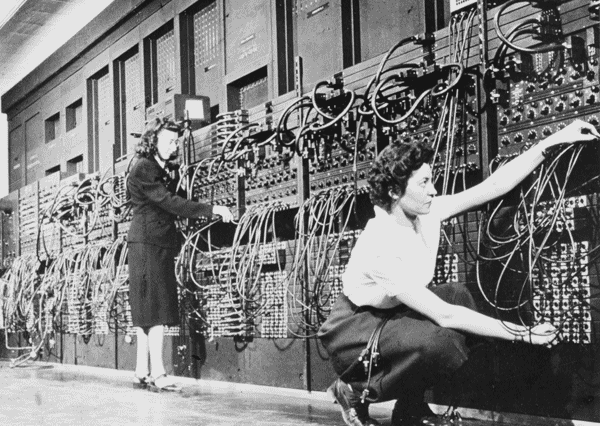 The women programming the ENIAC — one of the very first electronic, general purpose, digital computers — are widely considered to be the first programmers. At the time, the word “programmer”, or the concept of a program, did not even exist yet. The six women (Kay McNulty, Betty Jennings, Betty Snyder, Marlyn Wescoff, Fran Bilas and Ruth Lichterman) were hired to “setup” the ENIAC to perform “plans of computation”. More specifically, they were teaching the machine to calculate trajectories of weapons, to be used by soldiers in the field. The ENIAC women were recruited from the existing groups of women who up until then had been calculating these plans manually.